American Diesel opened its doors on January 1, 2007 with the goal of providing Murrieta area drivers with high-quality, honest automotive and truck repair services. Our auto repair shop is an alternative to the impersonal, sales-oriented service many people have experienced at dealerships. We’ll never try to sell you parts or services you don’t need, and you can trust our recommendations for getting the most out your vehicle—they are made in your best interests, based on your needs, driving habits, and budget. Our automotive services are backed by more than 36 years of experience in the auto repair industry, plus numerous certifications and ongoing training. We love solving tough problems at American Diesel, so it may come as no surprise that we’re among the best auto repair shops in Murrieta for diagnostics, electrical repairs, and engine performance issues. Also, our owner is a Marine Corp veteran who runs a tight ship, managing and organizing our shop to operate at maximum efficiency. 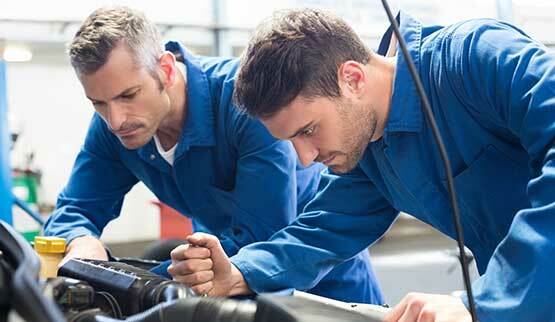 Our customers appreciate the timely and precise way we handle auto and truck repairs.